At the Piatchek Law Firm, our attorneys can assist you with a wide array of business transactions, including buying a business and selling a business. We understand that every business transaction is a risk/reward proposition. The risks include potential tax consequences and exposure to lawsuits. The rewards include profits, new relationships, and additional sources of income from new lines of business. The key to business success is the ability to minimize your risks while maximizing the potential rewards during the transaction process. 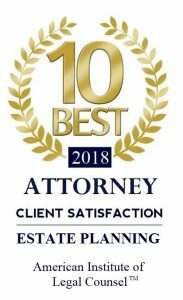 At our firm, we are committed to providing a high degree of personal attention, so that we can get to know our clients and their businesses as well as they do. This allows us to analyze proposed business transactions from an informed perspective and to advise our clients more effectively. Better still, we provide these services for an affordable cost. To discuss your business transaction with our attorneys, including managing partner Joseph J. Piatchek, please schedule a complimentary consultation today at 417-882-5858 or by contacting us online. FAQ: Form an LLC or a Corporation?